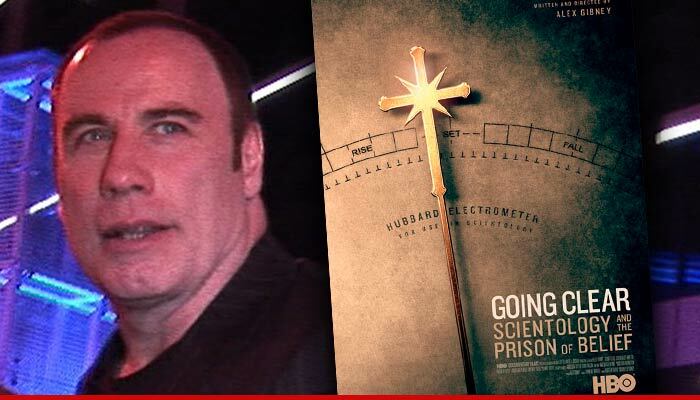 John Travolta Breaks His Silence ... 'Going Clear' Peeps Are Dreaming! John Travolta -- Breaks His Silence ... 'Going Clear' Producers Are Dreaming! John Travolta is finally speaking out about the HBO documentary "Going Clear" -- and dismisses the people behind it as a bunch of disgruntled ex-followers of Scientology. In the documentary ... former Scientologists call for Travolta and Tom Cruise to speak out against the church, but Travolta says, "I haven't experienced anything that the hearsay has (claimed), so why would I communicate something that wasn't true for me?" Travolta told the Tampa Bay Times he expected the same reaction from Tom Cruise. He says he has no plans to watch "Going Clear" ... which he called the product of "people who were disgruntled with their experiences." Travolta added he couldn't have got through tragedies like his son Jett's death without the church's "technology" ... and added, Scientology has "been so beautiful for me, that I can't even imagine attacking it." Scientology Attacks Hit Flick ... Our Main Accuser's a Liar!